Helen Stehli Pfister is a Swiss documentary filmmaker. After her studies (Slavonic studies and German philology) at the Zurich University and in Leningrad and after different jobs she started to work at Swiss TV in the 1980s. She made a lot of 50‘- documentaries in post Soviet Russia and documentaries on historical topics for a TV-primetime audience and was awarded with several international prizes. She has produced many TV documentaries and TV serials for a primetime audience. For a long time she was dept. 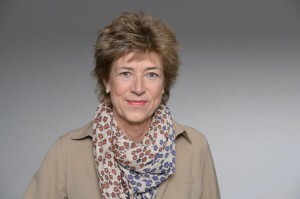 Head of Documentaries of Swiss National TV (Swiss Broadcasting Corporation SRG SSR). In summer 2014 she retired. She is married and has two grown up children.